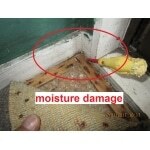 It is essential to include moisture testing in your house inspection. No house is a hundred per cent watertight. Since there is a large volume of heavy rainfall in Auckland, it is vital that an owner maintains the house well. If an owner has not maintained a house well, the chance of the house having leaks increases, therefore we recommend moisture testing. 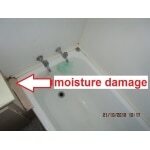 Moisture can gain access in extreme weather events and start deterioration without being noticed until it is too late. If not detected early, you might be required to make expensive repairs. If the damage is extensive, you may have extra costs for Council and architects involvement. Depending on the year constructed and material used, moisture can speed up the deterioration process and create an unhealthy living environment. 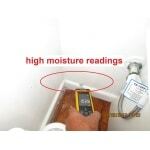 Innohome can assist you with non-invasive moisture inspection as part of your house inspection. Non-invasive means there is no harm is done to the house while being able to detect areas of elevated moisture. We can target specific high-risk areas. We have extensive knowledge of materials used in the past, design failure, construction knowledge and modern technology. Because of Kevin extensive knowledge of building materials used in the past over different building eras, he can advise on the best repairs option as well as required maintenance schedules to halt moisture deterioration before it spreads. The T660 is one of the most commonly used non-destructive moisture meters in New Zealand. Industry building inspection professionals as well as homeowners, real estate agents, insurance assessors trust this meter. The T660 is a professional instrument for nondestructive determination of moisture content distributions. Furthermore, it will detect in areas up to a depth of 4 cm from the surface. 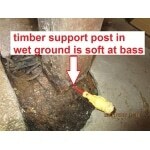 Its prime use is for locating moisture problems in homes and building materials such as timber/wood, gib board, concrete etc. As a quality instrument that is “Made in Germany”, the T660 is impressive regarding its digital precision without the disadvantage of drift in measured values exhibited by comparable analogue instruments. Wall and floor areas can be detected by the permanent real-time display of the measured values. Also, the device is suitable for preliminary inspection and location of areas for further investigation.